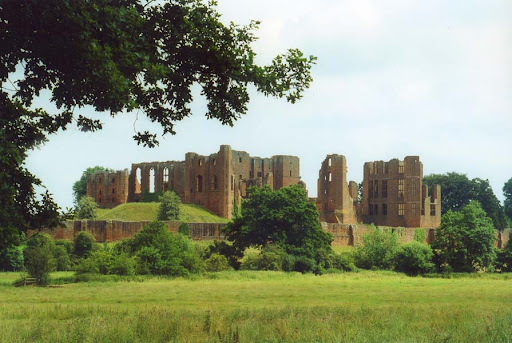 Kenilworth Castle dates from Norman times. 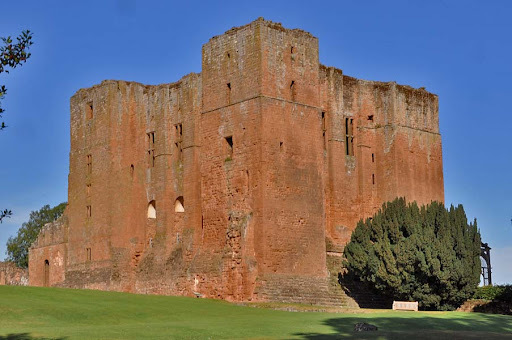 It passed into the hands of the Tudors, and Elizabeth I gave it to Robert Dudley. One wonders what Robert Dudley must have done to deserve such a magnificent gift. 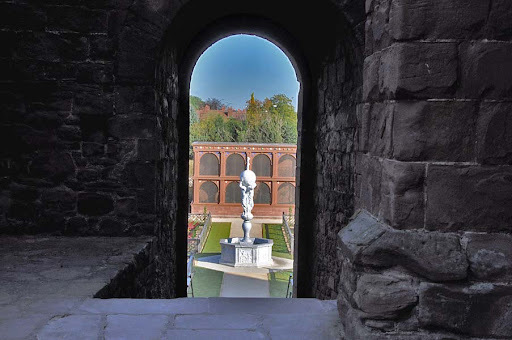 Robert Dudley transformed the building and its grounds from a fortress into a pleasure palace. 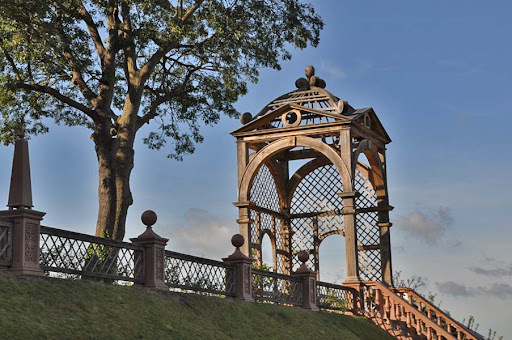 In Summer 2009, the garden was re-opened to the public, after a major refurbishment by English Heritage. The entrance to the garden is through the little doorway at the extreme left of this photo. A corridor runs through the centre of the massive stone keep. 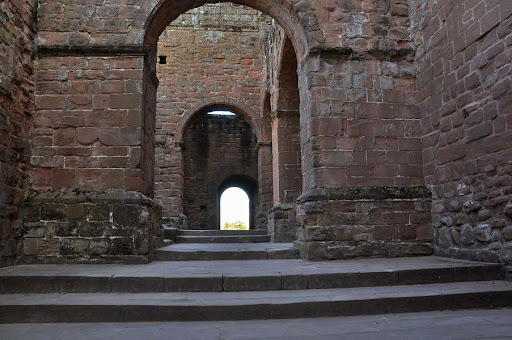 One imagines that these walls would have been hung with tapestries. At the time that it was originally built, the garden was the finest garden in England, and one of the finest gardens in Europe. 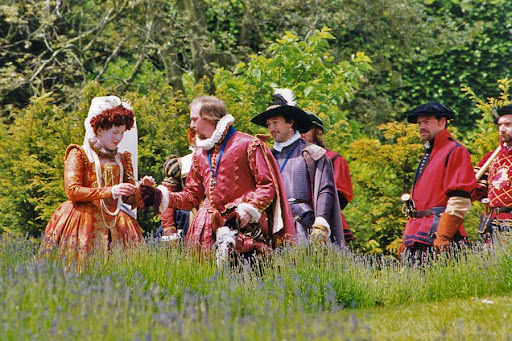 The garden was constructed at enormous expense, by Robert Dudley, for the sole purpose of entertaining Queen Elizabeth. 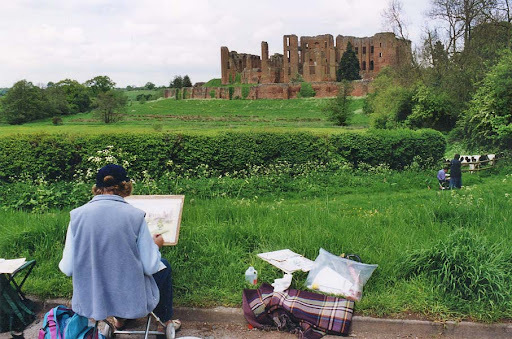 The garden is laid out as a parterre (more about this below). 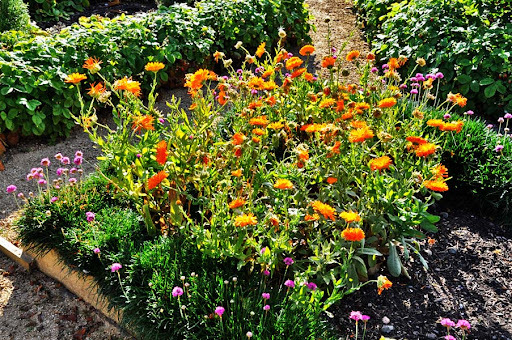 The planting within the small beds is a style called a gilly garden. These are sweet smelling perenials, typically, carnations, pinks, stocks, and wallflowers. The garden incorporates a lot of symbolism. Within each quadrant is a holly tree. The holly tree symbolises deep desire. 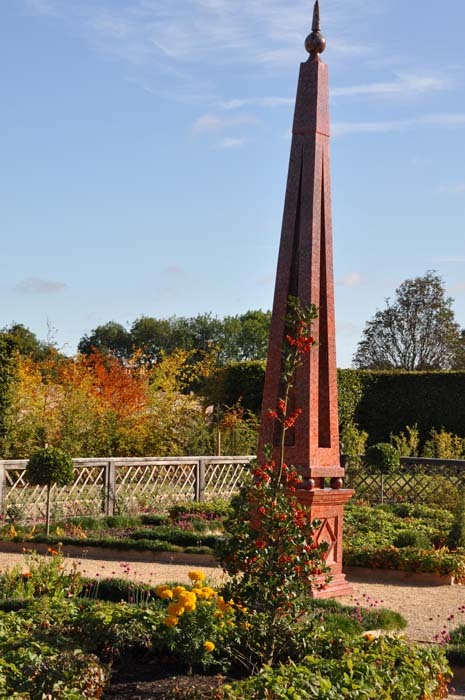 Each quadrant also contains an obelisk, each topped by a sphere. 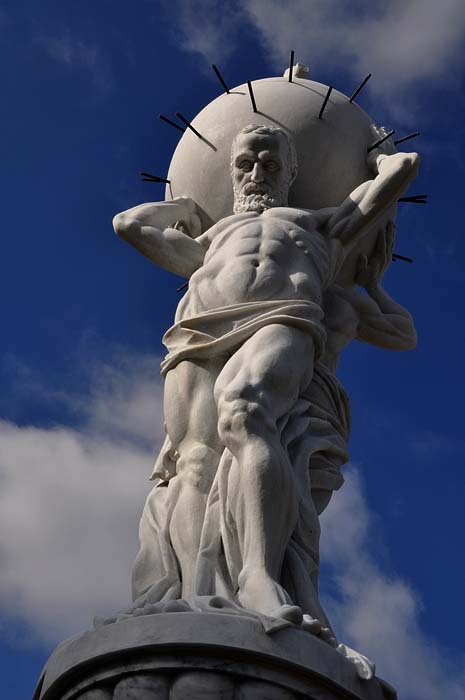 The obelisk is a male symbol, and the round sphere a female symbol. So these combined objects represented, the union of Robert Dudley and Elizabeth. This photograph shows a holly tree (at present still small), and an obelisk with sphere. Robert Dudley's personal symbol was a White Bear. The Bear and Ragged Staff were the symbol of his family. The garden contains two statues of White Bears. There is a children's fairy tale, known in Europe, called The White Bear King. It's a version of Beauty and the Beast. The bear is also associated with King Arthur (the name Arthur means Bear). Dudley tried to associate himself with the idea of being a descendent of King Arthur. At the centre of the garden is a fountain. The sides of the base are carvings showing scenes from Ovid, the poet of Love, described at the time as 'Wanton Ovid'. 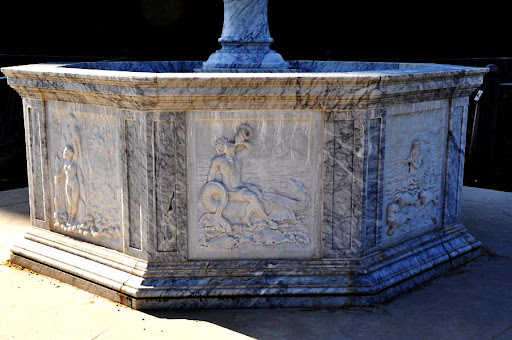 Descriptions of the scenes carved around the base of the fountain survive from documents written at the time. During archaelogical excavations at the site before the restoration, fragments of Carrera marble were found. 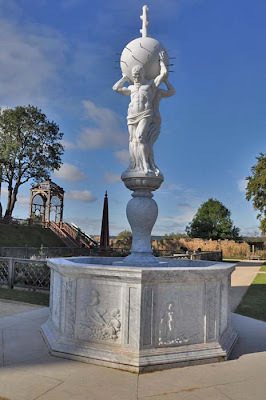 The restored fountain and reliefs have been carved from Carrera marble. This particular relief depicts the nymph Thetis. Ovid tells us that Thetis was a Goddess who took a mortal husband. Doris doesn't sound like a classical name, but it is. Ovid tells us that Doris was head mermaid, or something similar. The fountain is both physically and symbolically the centre of the garden. The male figure represents Robert Dudley, who is supporting Elizabeth's world. I think the sculptor must have used some artist licence, and doubt whether this is actually an accurate representation of Robert Dudley's physique. The idea of a fountain, pouring life into the world, is an ancient universal belief. Elizabeth, as Queen, and muse, embodied that idea. On the far side of the garden is an aviary, and an avenue of cherry trees which is also symbolic. 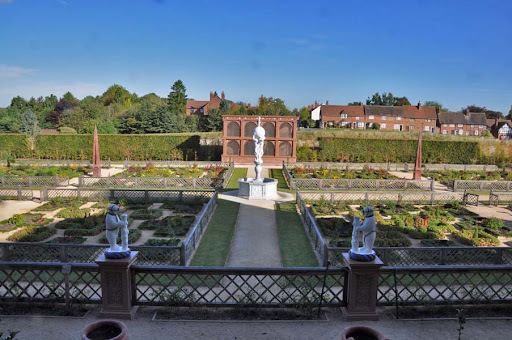 The garden is designed both to be walked through, and also to be looked down upon from above from a terrace (the terrace is where we entered the garden). There are two arbours on the terrace, which have been planted with climbing roses and honeysuckle, but these plants are still very small, and will take some years to cover the arbours. 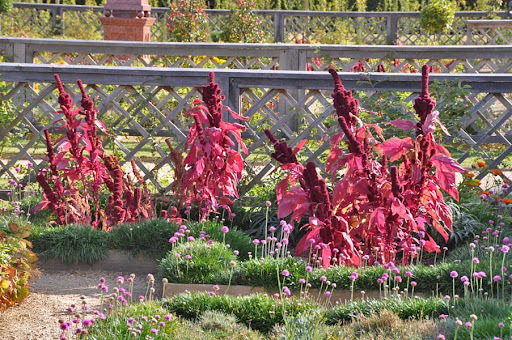 A parterre is a form of knot garden, where some of the knots are filled in with plants. In a proper knot garden there is an intricate pattern of small hedges, laid out as though they were a rope. The pattern is also related to the idea of a maze or labyrinth. 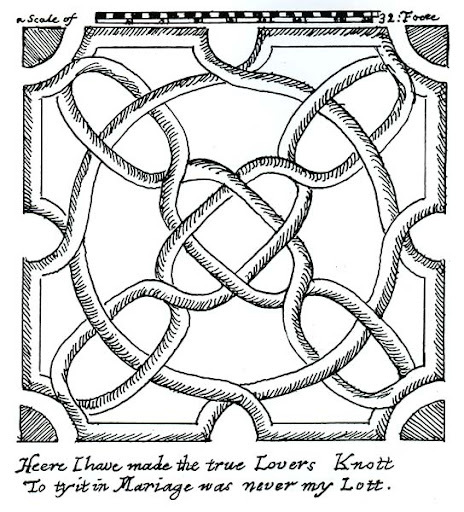 The idea of a knot comes from the 'True Lovers Knot'. The illustration at right is from The Compleat Gardeners Practice published in 1664. Labyrinths are also described in the same book. At the centre of a labyrinth or maze was sometimes a statue of Venus. 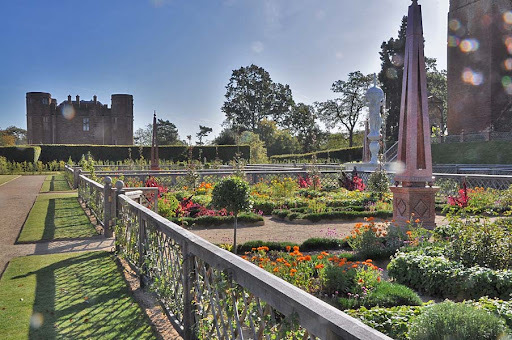 In a similar way, at the centre of Robert Dudley's parterre is a fountain (and a statue of himself). This painting by Veronese is titled Mars and Venus united by Love. You can see that cupid has tied a knot around their legs. 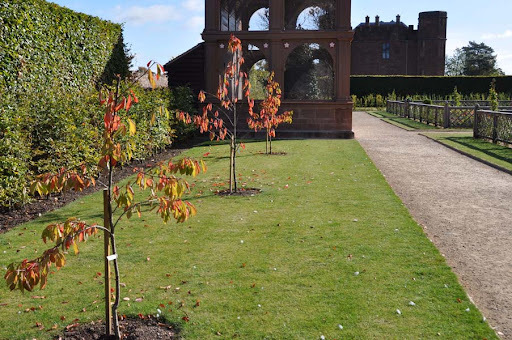 The story of Queen Elizabeth and Robert Dudley and how it was bound up with this garden is told in the book Elizabeth in the Garden by Trea Martyn.